He'll like this PJ set by Coccoli with cool deer print coupled with striped sleeves and pants. Contrast crewneck and cuffs. 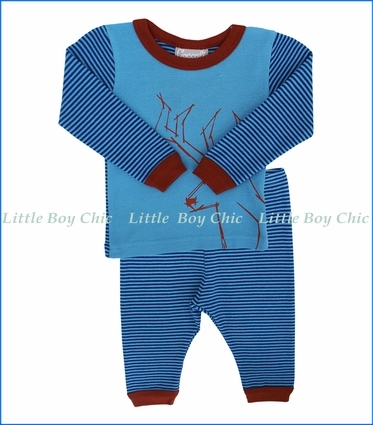 High quality cotton provides a cozy and comfortable feel on his skin. Allows for a bit of stretch for optimal fit.